While comic artist Charles Schulz may have passed away, leaving us without any new Peanuts comic strips, that doesn't mean Charlie Brown and Snoopy don't have some more tricks up their sleeve. Blue Sky Studios, the company behind the Ice Age franchise, has been working on a computer animated feature film, turning the beloved characters into 3D creations for the first time. But as the first trailer indicates, it hasn't lost any of its timeless charm. The same illustrated style is there, and even has some stop-motion style jitters, but it's just been given some nice depth and texture. Maybe this could work after all? Watch below! Peanuts is directed bey Steve Martino (Ice Age: Continental Drift, Horton Hears a Who!) and written by Craig & Bryan Schulz (sons of comic creator Charles Schulz) and newcomer Cornelius Uliano. 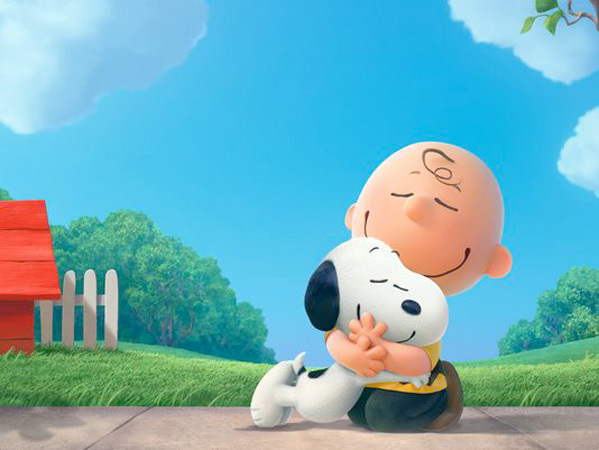 For the first time ever, Snoopy, Charlie Brown and the rest of the gang we know and love from Charles Schulz's comic strip will be making their big-screen debut in 3D. No voice cast or story details have been revealed yet, but 20th Century Fox has set the animated for release just in time for the 65th anniversary of the comic strip and the 50th anniversary of the Christmas special "A Charlie Brown Christmas," on November 6th, 2015. Well I guess my kid is gonna wanna see that. The animation is pretty cool. Unique.